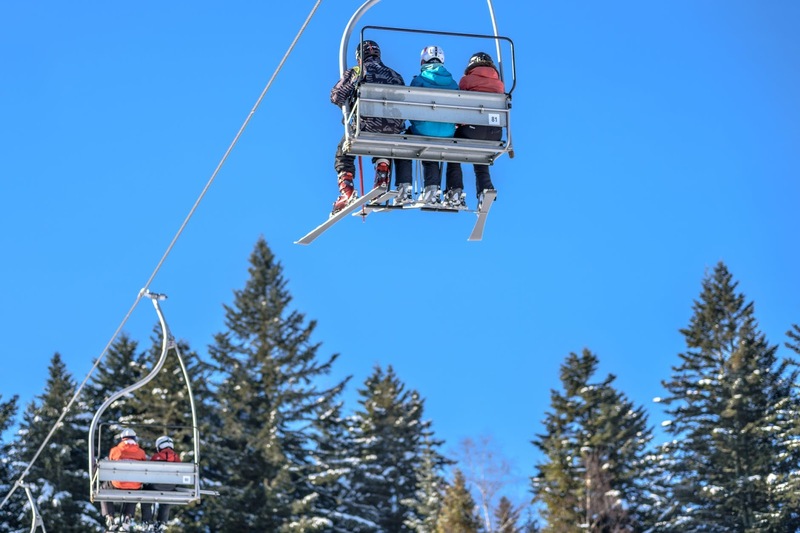 If you're into the thrill of snow sports or just fancy giving it a go, you'll find that there are many options closer to home than you realise which cater to various skill levels. If it's your first time hitting the slopes then opt for beginner lessons, but for those with a bit more experience, perhaps lift passes will be better suited. In this article you'll find some recommendations which are worth considering if you're planning a ski trip. Europe may very well be the perfect option if you’re planning your first skiing holiday and don’t want to travel far. Aswell as being only a short journey away, Europe is also home to some of the world’s most amazing runs. No matter if you’re into stunning landscapes and gentle descents, or rapid drops and adrenaline-pumping speeds, below are the best European ski runs to inspire your next holiday. If you're looking for some amazing ski opportunities then Scandinavia is the place to consider. 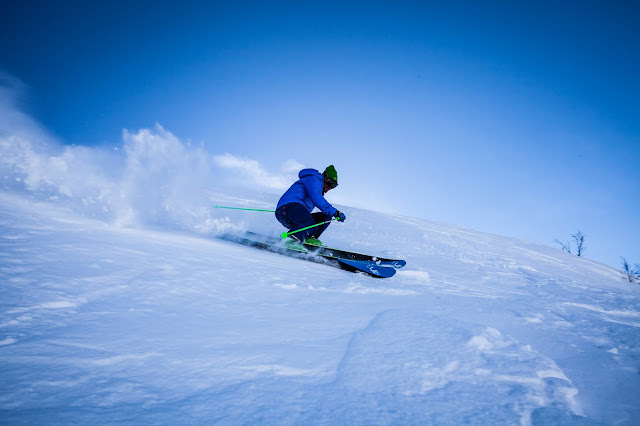 Piste 4 at the Riksgränsen ski resort is a popular run found in the Swedish Arctic Circle and visiting in spring means you'll get to experience long days, midnight sun and a top terrain for freestyling! Many skiers love launching off the natural bumps of the Riksgränsen slopes but head to Piste 4 and you’ll glide into Norway before looping back around during your descent! Visit what is believed to be the 'birthplace' of Alpine skiing! Take the funicular railway, built in 1931, and go up to the 2,662-metre Weissfluhjoch. Begin your amazing descent past the gorgeous forests and quaint huts before reaching the valley in Kublis again for the train ride home. A classic run in Swiss skiing, it offers a great mix of sights, landscapes and gentle terrain with a maximum gradient of 26%. A truly exhilarating run, you'll have the chance to take on a drop of 2,000 metres! Watch out for the launch as it’s very steep! If you're a beginner then this one isn't for you. One of the world's most feared runs, The Streif is found on the Hahenkamm mountain and hosts one of the most hazardous races in the World Cup. So famous is The Streif that a documentary film was made about it in 2015; Streif: One Hell of a Ride. At the starting gate, get ready to nearly freefall as you begin your 3,300-metre descent. In an instant, you’ll have 85% gradients to contend with at a speed of around 84mph! Overall, the course is about 3,312 metres in length with an average gradient of 27%. It is worth considering some private lessons before you take on a challenge as mammoth as this! Generally considered the most challenging of Verbier’s pistes, this run provides a 1,300-metre descent. At 3,329 metres, Mont Fort in Verbier is a tough challenge for any skier. You'll need to be super fit and experienced to take on Mont Fort. Unmaintained by machinery, it has many bumps and is extremely steep. If you are up to the challenge and can handle it, then expect a breath-taking and exhilarating experience that you won’t forget. For particularly spectacular views of the sunrise over the nearby mountains and glaciers, try this one at dawn. If you want to mix your ski holiday with both activity and relaxation then Mont Fort is the ideal location for you. Verbier is probably one of the world’s most luxurious and party-centric resorts! The tallest peak in the Les Arcs resort is the Aiguille Rouge. Home to some amazing ski runs, France is also just a short journey away making this location ideal for a mini break or weekend away. At 3,226 metres in height and with a vertical descent of over 2,000 metres, the Aiguille Rouge run is classified as black at the top and red a third of the way down. Take on the Aiguille Rouge at the start of the day as the cable car queues can get busy very quickly although luckily you'll find quality snow everywhere on the Aiguille Rouge! You can also expect extraordinary panoramic views of the Italian Alps. Offering potentially the very best views of the Alps and found in the Dolomites, this long-distance circuit is a breath-taking experience for beginner and season skiers. As you make your descent you'll be able to view limestone cliffs and open pastures. Essentially, the Sella Ronda run is made up of around 14 miles of runs looping around a huge crag which is linked by lifts. This run can be done easily in one day and you'll see several villages along the way. Do try this run in both directions to really get the most from it. If adrenaline-pumping ski runs are more your cup of tea or you’re simply looking for a challenge, test your skills on the Lauberhorn. Here, you’ll begin from the 2,500-metre apex and descend 4,500 metres in just 150 seconds! Apparently the Lauberhorn is the fastest run in the World Cup. Not only will you have steepness to contend with, there’ll also be a 130-foot jump that catapults you into the air. Expect speeds of nearly 100mph which is enough for g-forces to come into play. It really doesn't matter whether you're a beginner, intermediate or experienced skier as there is a ski run for everyone in Europe! Above are just a few examples and there are many more just waiting to be discovered. Why not plan a visit to Chill Factore prior to your departure to make sure you have the necessary skills to make the most of your ski holiday adventure?